Besides having one of the largest elk herds in the West, Lemhi County has numerous Whitetail and Mule Deer, Black Bear, Big Horn Sheep, Mountain Goat, Antelope, Cougar and Moose. Hunters wishing to take sheep, goat, cougar or moose must apply for special permits. Species of upland game birds found here are Blue, Ruffed and Franklin's Grouse, Sage Grouse, Chukkar and Hungarian Partridge, and Mourning Dove. The Salmon and Lemhi River valleys contain excellent habitat for Mallard and Teal. Canadian Geese, in considerable numbers, winter in these valleys. 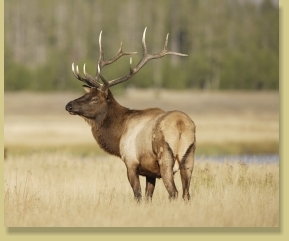 Current hunting regulations may be obtained from the Idaho Department of Fish & Game.